Alike many people, you need to drive daily to complete your daily activities and work purposes and for driving, driver’s license is a must. 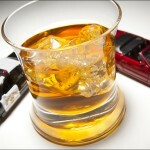 However, if a person has been charged with DUI, there is a high possibility that his/her driving license will be lost. The duration of suspension depends upon a number of factors, like what took place during and what led to your arrest. The offender can also face criminal and monetary charges, a jail sentence or escalated cost of insurance if s/he is allowed drive again. Other fines and penalties can change with the first, second, third or subsequent offences, but suspension of driving license takes place every time. However, people who need to travel to work can get a restricted driver’s license after fulfilment of the necessary criteria. Also, installing an ignition interlock device in their car will most probably be required. If the required conditions are not met, the restricted driver’s license can be revoked. Getting a new driver’s license after a DUI offense depends upon factors like the offenses committed by you in the last decade and DUI laws of your current state. In case of your first offense, you need to get an alcohol evaluation done from an alcohol and drug rehabilitation center or any hospital that provides these services. After passing the evaluation and all DUI classes as required by court, you can get a new driver’s license. Being charged with a DUI offense, however, doesn’t necessarily mean losing your driver’s license. Experienced DUI attorneys can help you in your case by reviewing the circumstances of your arrest, DUI test results or any other evidence that can have possible errors while being collected and processed. Technical issues like violation of your rights during arrest or while taking DUI breath or blood tests can be used for your benefit.